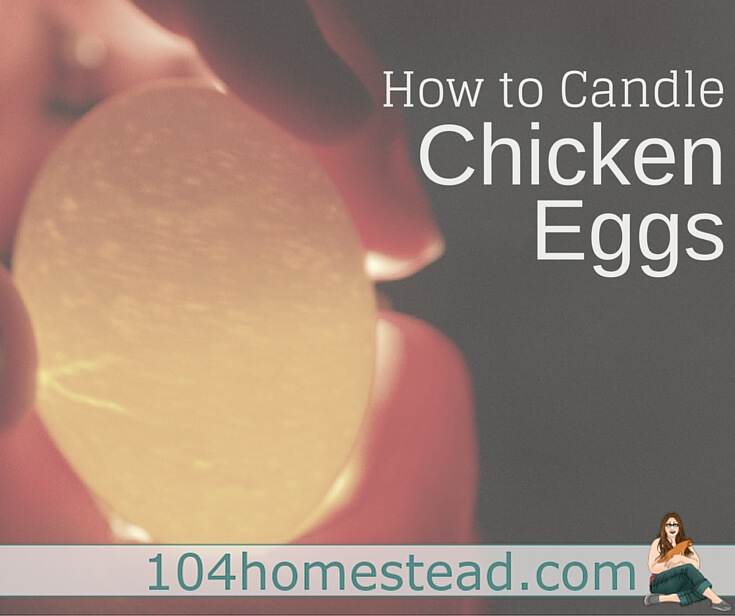 Today we’re going to talk about candling chicken eggs. Candling is an important part of hatching. Some people who use a broody to hatch will forgo candling. The mother hen tends to have a sense about the eggs and will kick out an egg she deems bad. Those that hatch in an incubator will typically candle on day 7, 14 and 18. But how do you candle chicken eggs? Do you need special equipment? What exactly are you looking for in there? 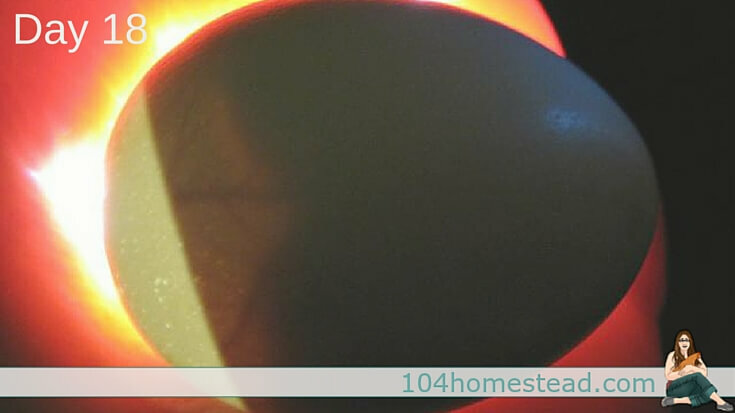 Candling is simply taking a peek inside the egg by shining a bright light into it. This peek lets you know if your egg has quit (stopped growing) or has formed bacteria. With this knowledge you can avoid rotten eggs exploding and contaminating the other eggs. Candling can be done with a variety of tools. 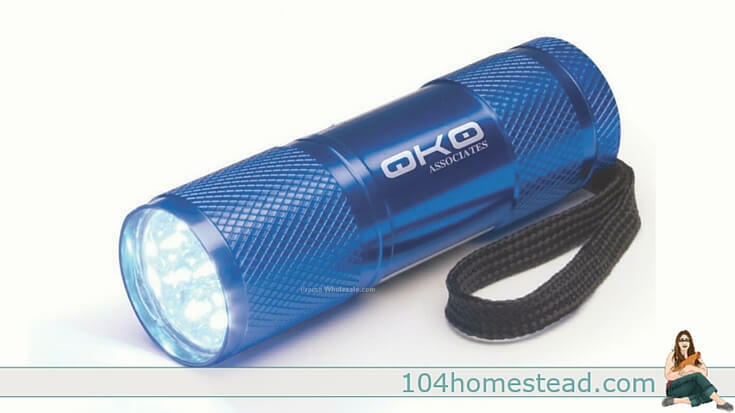 I spent several years using a simple LED flashlight. I still use it when when I can’t find my candler. I bought mine for $4.99 at a convenience store. Candlers can range from simple to complex, inexpensive to extravagant. The higher end candlers do display more than your average flashlight. This is the candler I use. A DIY candler like this one that uses items found around the house. The highlight of this style candler is that it reduces the risk of dropping the egg. The con to a system like this is that it heats up quickly. Allow the bulb to cool if you notice the temperature creeping up. 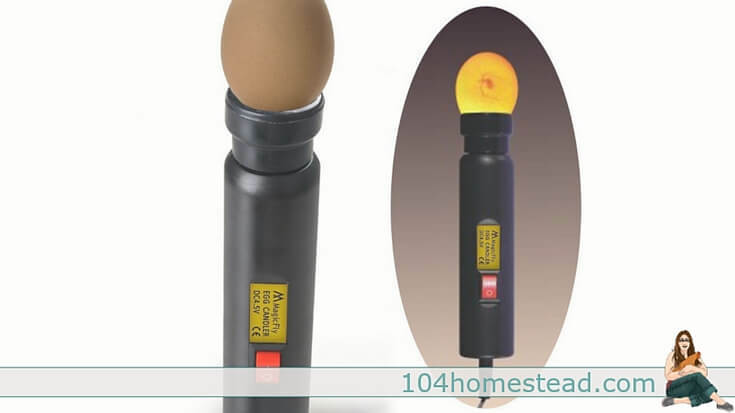 No matter which candler you use, the light is held right against the shell at the bottom on the egg where the air cell is located. 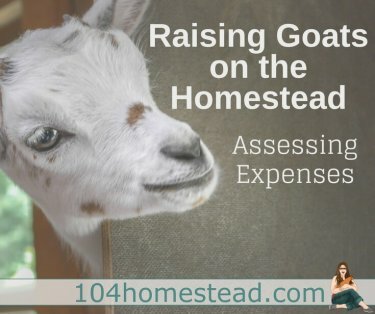 So what exactly should you be looking for? You want to check the air cell. You can see in the picture below where the air cell should be located depending on the egg’s development. I like to trace the air cell when I candle so that I can keep and eye on the progress. On day seven, you should see a dark spot inside the egg (the embryo) with a healthy spreading of vein growth. On day fourteen, you should see a larger embryo. Sometimes there will be identifiable parts including feet and the beak. There should now be a full spread of veining. On day eighteen, a full-sized chick will shadow the majority of the egg. You may see movement if you candle while the chick is active. If the chick has pipped internally, you may even hear the chick peeping from inside. There are a few things you will want to watch for when you are candling. 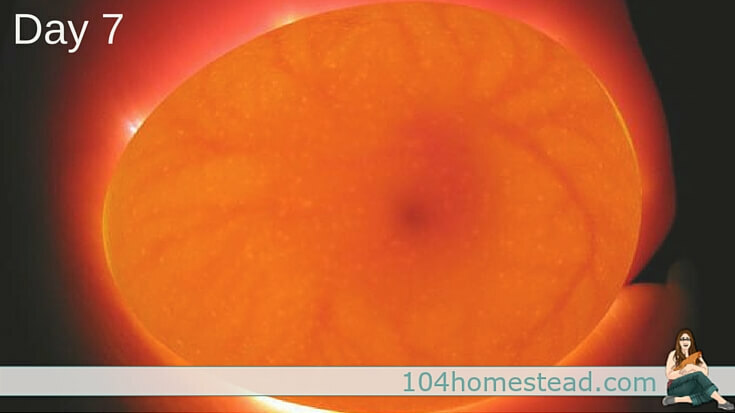 Clear eggs with a large orange shadow indicates an infertile egg or an early quitter. A red ring or band (referred to as a blood ring) indicates bacteria has invaded the egg’s membrane. 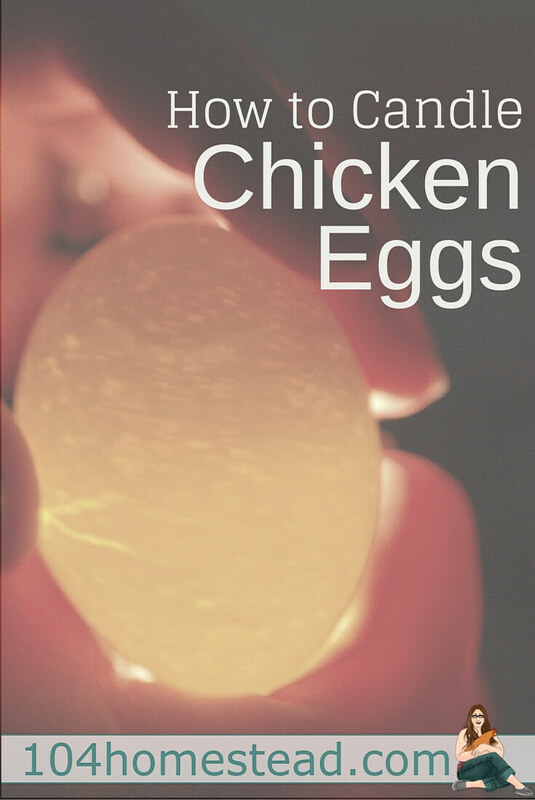 You can find out more about infertile eggs, quitters and blood rings in Hatch Day & Losses. Enjoy the education and excitement of candling! I like to candling. 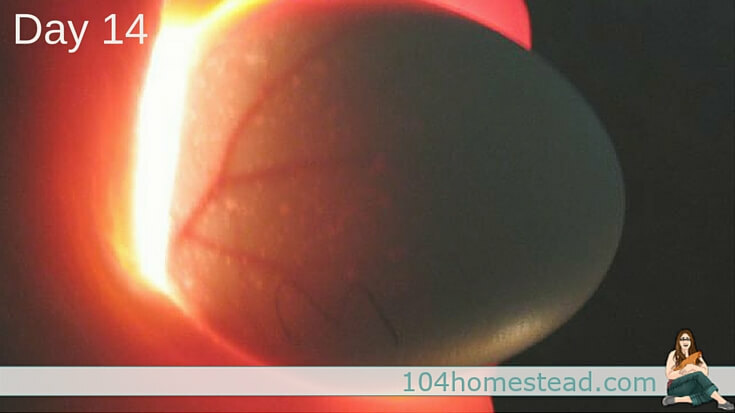 It is very informative article for hatching candling the egg. I like to candling. It is very informative article for candling the egg. Hi Jessica. The first thing I should to say is your website looks very beatify. I am also raising some chicks at my backyard and l love them. Until now I ofter use my phone’ flashlight for candling. Thanks for your article, I will purchase a chicken candler as you recommended.